This article is about the Christian theology. For the doctrinal position, see Nontrinitarianism. For the liberal religious movement, see Unitarian Universalism. For its UK counterpart, see General Assembly of Unitarian and Free Christian Churches. For other uses, see Unitarian. Unitarianism (from Latin unitas "unity, oneness", from unus "one") is a Christian theological movement named for its belief that the God in Christianity is one person, as opposed to the Trinity (tri- from Latin tres "three") which in many other branches of Christianity defines God as three persons in one being: the Father, Son, and Holy Spirit. Unitarian Christians, therefore, believe that Jesus was inspired by God in his moral teachings, and he is a savior, but he was not a deity or God incarnate. Unitarianism does not constitute one single Christian denomination, but rather refers to a collection of both extant and extinct Christian groups, whether historically related to each other or not, which share a common theological concept of the oneness nature of God. While the uncompromising theological monotheism at the heart of Christian Unitarianism distinguishes it from the major Christian denominations which subscribe to Trinitarian theology, Christian Unitarianism is analogous to the more austere monotheistic understandings of God in Judaism, and nearer to the concept of the oneness of God in Islam. Unitarianism is also known for the rejection of several other Western Christian doctrines, including the doctrines of original sin, predestination, and the infallibility of the Bible. Unitarians in previous centuries accepted the doctrine of punishment in an eternal hell, but few do today. Unitarianism might be considered a part of Protestantism, depending on one's stance or viewpoint, and some exclude it from that term due to its Nontrinitarian nature. Despite common origins during the Protestant Reformation, some scholars call it a part of Nontrinitarianism, while others consider it both Protestant and Nontrinitarian, seeing no contradiction between those two terms. None of the three views are universally accepted. The Unitarian movement is tied to the more radical critiques of the Reformation. 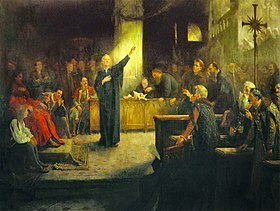 First organized in Eastern Europe during the Reformation, Unitarian communities have developed in Britain, South Africa, India, Canada, the United States, Jamaica, Nigeria, and Japan. Unitarians began almost simultaneously in the Polish–Lithuanian Commonwealth and in Transylvania in the mid-16th century. Among the adherents were a significant number of Italians who took refuge in Poland. In the 17th century, significant repression in Poland led many Unitarians to flee or be killed for their faith, notably Katarzyna Weiglowa. From the 16th to 18th centuries, Unitarians in Britain often faced significant political persecution, including John Biddle, Mary Wollstonecraft, and Theophilus Lindsey. 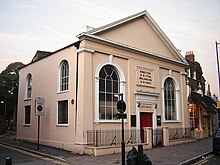 In England, the first Unitarian Church was established in 1774 on Essex Street, London, where today's British Unitarian headquarters are still located. In the United States, different schools of Unitarian theology first spread in New England and the mid-Atlantic states. The first official acceptance of the Unitarian faith on the part of a congregation in America was by King's Chapel in Boston, from where James Freeman began teaching Unitarian doctrine in 1784, and was appointed rector and revised the prayer book according to Unitarian doctrines in 1786. In India, three different schools of Unitarian thought influenced varying movements, including the Brahmo Samaj, the Unitarian Church of the Khasi Hills, and the Unitarian Christian Church of Chennai, in Madras, founded in 1795. Unitarians place emphasis on the ultimate role of reason in interpreting sacred scriptures, and thus freedom of conscience and freedom of the pulpit are core values in the tradition. Reformation is an ongoing process, to be celebrated. Constant study and new experiences can lead to new insights for teachings and community practice. In varying contexts, Unitarians seek to affirm the use of reason in religion and freedom of conscience. In J. Gordon Melton's Encyclopedia of American Religions, the Unitarian tradition is classified among "the 'liberal' family of churches". Unitarianism is a proper noun and follows the same English usage as other theologies that have developed within a religious movement (Calvinism, Anabaptism, Adventism, Wesleyanism, Lutheranism, etc.). The term existed shortly before it became the name of a religious movement, thus occasionally it is used as a common noun that would describe any understanding of Jesus Christ that denies the Trinity or which believes that God is only one person. In that case, it would be a nontrinitarian belief system not necessarily associated with the Unitarian religious movement. For example, the Unitarian movement has never accepted the Godhood of Jesus, and therefore does not include those nontrinitarian belief systems that do, such as Oneness Pentecostalism, United Pentecostal Church International and the True Jesus Church and the writings of Michael Servetus, all of which maintain that Jesus is God as a single person. Although these groups are unitarians in the common sense, they are not in the proper sense. To avoid confusion, this article is about Unitarianism as a religious movement (proper noun). For the generic form of unitarianism (the Christology), see Nontrinitarianism. Recently some religious groups have adopted the 19th-century term biblical unitarianism to distinguish their theology from Unitarianism. These likewise have no direct relation to the Unitarian movement. The term Unitarian is sometimes applied today to those who belong to a Unitarian church but do not hold a Unitarian theological belief. In the past, the vast majority of members of Unitarian churches were Unitarians also in theology. Over time, however, some Unitarians and Unitarian Universalists moved away from the traditional Christian roots of Unitarianism. For example, in the 1890s the American Unitarian Association began to allow non-Christian and non-theistic churches and individuals to be part of their fellowship. As a result, people who held no Unitarian belief began to be called Unitarians because they were members of churches that belonged to the American Unitarian Association. After several decades, the non-theistic members outnumbered the theological Unitarians. A similar, though proportionally much smaller, phenomenon has taken place in the Unitarian churches in the United Kingdom, Canada, and other countries, which remain more theistically based. Unitarian theology, therefore, is distinguishable from the belief system of modern Unitarian and Unitarian Universalist churches and fellowships. This article includes information about Unitarianism as a theology and about the development of theologically Unitarian churches. For a more specific discussion of Unitarianism as it evolved into a pluralistic liberal religious movement, see Unitarian Universalism (and its national groups the Unitarian Universalist Association in the United States, the Canadian Unitarian Council in Canada, the General Assembly of Unitarian and Free Christian Churches in the United Kingdom, and the International Council of Unitarians and Universalists). Unitarianism, both as a theology and as a denominational family of churches, was defined and developed in Poland, Transylvania, England, Wales and the United States. Although common beliefs existed among Unitarians in each of these regions, they initially grew independently from each other. Only later did they influence one another and accumulate more similarities. Unitarians believe that mainline Christianity does not adhere to strict monotheism, but that Unitarians do by maintaining that Jesus was a great man and a prophet of God, perhaps even a supernatural being, but not God himself. They believe Jesus did not claim to be God and that his teachings did not suggest the existence of a triune God. Unitarians believe in the moral authority but not necessarily the divinity of Jesus. Their theology is thus opposed to the trinitarian theology of other Christian denominations. "Strict Unitarian", which, believing in an "incommunicable divinity of God", denied both the existence of the Holy Spirit and the worship of "the man Christ." Regarding the virgin birth of Jesus among those who denied the preexistence of Christ, some held to it and others did not. Its denial is sometimes ascribed to the Ebionites; however, Origen (Contra Celsum v.61) and Eusebius (HE iii.27) both indicate that some Ebionites did accept the virgin birth. On the other hand, Theodotus of Byzantium, Artemon, and Paul of Samosata all accepted the virgin birth. In the early days of Unitarianism, the stories of the virgin birth were accepted by most. There were a number of Unitarians who questioned the historical accuracy of the Bible, including Symon Budny, Jacob Palaeologus, Thomas Belsham, and Richard Wright, and this made them question the virgin birth story. Beginning in England and America in the 1830s, and manifesting itself primarily in Transcendentalist Unitarianism, which emerged from the German liberal theology associated primarily with Friedrich Schleiermacher, the psilanthropist view increased in popularity. Its proponents took an intellectual and humanistic approach to religion. They embraced evolutionary concepts, asserted the "inherent goodness of man", and abandoned the doctrine of biblical infallibility, rejecting most of the miraculous events in the Bible (including the virgin birth). Notable examples are James Martineau, Theodore Parker, Ralph Waldo Emerson and Frederic Henry Hedge. Famous American Unitarian William Ellery Channing was a believer in the virgin birth until later in his life, after he had begun his association with the Transcendentalists. This section relates to Unitarian churches and organizations today which are still specifically Christian, whether within or outside Unitarian Universalism. Unitarian Universalism, conversely, refers to the embracing of non-Christian religions. 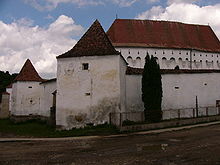 The Dârjiu fortified church, a 13th-century fortified church belonging to the Unitarian Church of Transylvania. This is the only Unitarian fortified church in Transylvania which is on the UNESCO's World Heritage List. Newington Green Unitarian Church in London, England. Built in 1708, this is the oldest nonconformist church in London still in use. The Unitarian movement in South Africa was founded in 1867 by David Faure, member of a well-known Cape family. He encountered advanced liberal religious thought while completing his studies at the University of Leiden in Holland for the ministry of the Dutch Reformed Church in Cape Town. Biblical Unitarianism (or "Biblical Unitarianism" or "biblical unitarianism") identifies the Christian belief that the Bible teaches God is a singular person, the Father, and that Jesus is a distinct being, his son. A few denominations use this term to describe themselves, clarifying the distinction between them and those churches which, from the late 19th century, evolved into modern British Unitarianism and, primarily in the United States, Unitarian Universalism. In Italy the Biblical Unitarian Movement powered by the ideas of Sozzini and others is represented today by the churches associated with the Christian Church in Italy. Notable Unitarians include classical composers Edvard Grieg and Béla Bartók, Ralph Waldo Emerson, Theodore Parker and Thomas Lamb Eliot in theology and ministry, Oliver Heaviside, Erasmus Darwin, Joseph Priestley, John Archibald Wheeler, Linus Pauling, Sir Isaac Newton and inventor Sir Francis Ronalds in science, George Boole in mathematics, Susan B. Anthony in civil government, Florence Nightingale in humanitarianism and social justice, John Bowring, Samuel Taylor Coleridge and Elizabeth Gaskell in literature, Frank Lloyd Wright in the arts, Josiah Wedgwood and Samuel Carter MP in industry, Thomas Starr King in ministry and politics, and Charles William Eliot in education. Julia Ward Howe was a leader in the woman suffrage movement, the first ever woman to be elected to the Academy of Arts and Letters, and author of the Battle Hymn of the Republic along with volumes of poetry and other writing. Although raised a Quaker, Ezra Cornell, founder of Cornell University in Ithaca, New York, attended the Unitarian church and was one of the founders of Ithaca's First Unitarian Church. Eramus Darwin Shattuck, a signatory to the Oregon State Constitution, founded the first Unitarian Church in Oregon in 1865. British prime minister Neville Chamberlain was raised by his Unitarian statesman father, Joseph Chamberlain. Certainly, in the United Kingdom, Unitarianism – the religion of only a small minority of the country's population – had an enormous impact on Victorian politics, not only in the larger cities – Birmingham, Leeds, Manchester, and Liverpool – but in smaller communities like Leicester where there were so many Unitarian mayors that the Unitarian Chapel was known as the "Mayors' Nest". In Lambeth, South London, another two members of the Martineau family, Caroline and Constance, worked at Morley College, the former acting as (unpaid) principal for over 11 years. Several other prominent Unitarians were involved in the development of this liberal arts college, which was founded by actors at the Old Vic theatre. Other Unitarians include Sir Tim Berners-Lee, inventor of the World Wide Web Lancelot Ware, founder of Mensa, Sir Adrian Boult, the conductor, Ray Kurzweil, notable inventor and futurist, and C. Killick Millard, founder of the Dignity in Dying society to support voluntary euthanasia. Ram Mohan Roy, an Indian reformer of the 18th century, was a Unitarian who published a book called Precepts of Jesus. ^ Drzymala, Daren. 2002. Biblical Christianity. Xulon press. p. 122: "Classically, Unitarian Universalist Christians [and Unitarian Christians] have understood Jesus as a Savior because he was a God-filled human being, not a supernatural being." ^ "Frequently asked questions (FAQ) - Unitarians". www.unitarian.org.uk. ^ "Unitarianism in Khasi-Jaintia Hills: A unique movement - Times of India". The Times of India. Retrieved 2018-09-26. ^ L. Sue Baugh, Essentials of English Grammar: A Practical Guide to the Mastery of English (ISBN 9780844258218). Second Edition 1994, p. 59: "Religious Names and Terms: The names of all religions, denominations, and local groups are capitalized." ^ J. Gordon Melton, Encyclopedia of Protestantism, 2005, p. 543: "Unitarianism – The word unitarian [italics] means one who believes in the oneness of God; historically it refers to those in the Christian community who rejected the doctrine of the Trinity (one God expressed in three persons). Non-Trinitarian Protestant churches emerged in the 16th century in ITALY, POLAND, and TRANSYLVANIA." 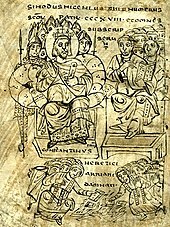 ^ "The name originated at the time of the great dispute at Gyulafehérvár in 1568, in the course of which Mélius quite often concluded his argument by saying, Ergo Deus est trinitarius.... Hence his party naturally came to be called Trinitarians and their opponents would naturally be called Unitarians. The name seems thus to have come into general use only gradually and it was long before it was employed in the formal proclamations of their Superintendents.... It is not found in print as the denomination of the church until 1600, when the unitaria religio is named as one of the four received religions in a decree of the Diet of Léczfalva (cf. Magyar Emlékek, iv, 551) in the extreme southeastern part of Transylvania. The name was never used by the Socinians in Poland; but late in the seventeenth century Transylvanian Unitarian students made it well-known in Holland, where the Socinians in exile, who had never adopted Socinian as the name of their movement and were more and more objecting to it, welcomed it as distinguishing them from Trinitarians. It thus gradually superseded the term Socinian, and spread to England and America." Earl Morse Wilbur, A History of Unitarianism, vol. 2, pp. 47–48. ^ Tuggy, Dale, (2009). Stanford Encyclopedia of Philosophy[permanent dead link]. ^ Robinson, The Unitarians and the Universalists, p. 159-184. ^ AW Gomes, EC Beisner, and RM Bowman, Unitarian Universalism (Zondervan, 1998), pp. 30–79. ^ George Willis Cooke, Unitarianism in America (AUA, 1902), pp. 224–30. ^ "The religious movement whose history we are endeavoring to trace...became fully developed in thought and polity in only four countries, one after another, namely Poland, Transylvania, England and America, but in each of these it showed, along with certain individual characteristics, a general spirit, a common point of view, and a doctrinal pattern that tempt one to regard them as all outgrowths of a single movement which passed from one to another; for nothing could be more natural than to presume that these common features implied a common ancestry. Yet such is not the fact, for in each of these four lands the movement, instead of having originated elsewhere, and been translated only after attaining mature growth, appears to have sprung independently and directly from its own native roots, and to have been influenced by other and similar movements only after it had already developed an independent life and character of its own." Earl Morse Wilbur, A History of Unitarianism, vol. 2 (Cambridge: Harvard University Press, 1952), p. 166. ^ Hewett, Racovia, pp. 20–1. ^ Mossner, Ernest Campbell (1967). "Deism". Encyclopedia of Philosophy 2. Collier-MacMillan. pp. 326–336. ^ Robert S. Corrington. "Unitarianism" (PDF). Caspersen School of Graduate Studies at Drew University: 7. Retrieved 2016-11-26. ^ Setton, Kenneth (1969). A History of the Crusades. p. 466. ^ Charles, Tutorial prayer book, p. 599. ^ R. P. C. Hanson (1916–1988), Lightfoot Professor of Divinity The Search for the Christian Doctrine of God: The Arian Controversy, 318–381 (9780801031465): 1973 "Photinus' doctrine appears to have been a form of what might be called middle Marcellism, i.e. what Marcellus originally taught before his vicissitudes caused him to temper the edge of his doctrine and take account of the criticisms of his friends as well as of his enemies, a little more moderated." ^ Gura, Philip F. American Transcendentalism: A History. New York: Hill and Wang, 2007: 7–8. ISBN 0-8090-3477-8. ^ a b Servetus, Michael (1553). The Restoration of Christianity – An English Translation of Christianismi restitutio, 1553, Translated by Christopher A. Hoffman and Marian Hillar. Leiston – Queenston – Lampeter: The Edwin Mellen Press. p. 75. ISBN 978-0-7734-5520-7. ^ May, Samuel Joseph (1867) , What Do Unitarians Believe?, Albany: Weed, Parsons, and Co.
^ Henderson, AC (1886), What Do Unitarians Believe? ^ "The Unitarian Denomination". The Quarterly Journal of the American Unitarian Association. Boston: American Unitarian Association. 5: 168. 1858. ^ "BBC - Religions - Unitarianism: Unitarian worship". ^ "icuu.net". Archived from the original on 2009-08-28. ^ "Unitarian Christian Emerging Church ... a 21st century spiritual community, and faith ministry – Home". Unitarianministries.com. Archived from the original on 2012-05-29. Retrieved April 19, 2013. ^ "Stephen Crittenden: The President of the Unitarian church in Sydney, Peter Crawford, speaking to John Russell". Archived from the original on 2010-04-18. ^ Heller-Wagner, E. "Radical religion and civil society: The Unitarians of South Africa" (PDF). University of South Africa. ^ Generally capitalized "b. U." – Dowley 1977, Larsen 2011, Robertson 1929, BFER 1882, PTR 1929, New Encyclopaedia Britannica 1987. See Wikipedia:Manual of Style (capital letters), article English capitalisation cites source: L. Sue Baugh, Essentials of English Grammar: A Practical Guide to the Mastery of English, Second Edition 1994, p. 59: "Religious Names and Terms: The names of all religions, denominations, and local groups are capitalized." Uncapitalized: Ankerberg. ^ Tuggy, Dale, (2009). Stanford Encyclopedia of Philosophy[permanent dead link]. Accessed October 30, 2010. ^ cf. "Christian Church in Italy beliefs". Archived from the original on 2012-10-28. ^ Baierlein, Ralph. (1992). 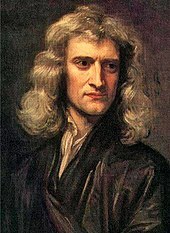 Newton to Einstein. Cambridge: Cambridge University Press. p. 54. ISBN 0-521-42323-6. ^ "Francis Ronalds". Dictionary of Unitarian & Universalist Biography. Retrieved 10 February 2017. ^ The Centennial History of Oregon 1811–1912 by Joseph Gaston, p. 582. ^ Holt, Raymond V. (1906). ": Chapter 3, including Georgian and Victorian period. Ref Chamberlain, Lupton (Leeds) and Martineau, Nettlefold, Kenrick (Birmingham) families". The Unitarian Contribution to Social Progress in England (PDF). Lindsey Press. Archived from the original (PDF) on March 2, 2014. Retrieved March 1, 2013. ^ Tim Berners-Lee, The World Wide Web and the "Web of Life"
Wilbur, Earl Morse (1925), Our Unitarian Heritage (PDF), Berkeley, CA: Starr King School for the Ministry, archived from the original (PDF) on 2006-09-09 . Andrew M. Hill, The Unitarian Path, Lindsey Press (London, 1994). ISBN 0-85319-046-1. Charles A. Howe, For Faith and Freedom: A Short History of Unitarianism in Europe, Skinner House Books (Boston, 1997). ISBN 1-55896-359-6. Smith, Matthew F (2005). Christianity: The Complete Guide. London: Continuum. ISBN 0-8264-5937-4. Buzzard, A. and Hunting, C. (1998). The Doctrine of the Trinity: Christianity's Self-Inflicted Wound. International Scholars Publications. ISBN 1-57309-309-2. Emerton, Ephraim (1911). Unitarian Thought. New York: Macmillan Co. OCLC 1403642. Retrieved 2011-04-22. Kingston, A. Richard (2014) . God in One Person: The Case for Non-Incarnational Christianity (Softcover reprint ed.). u.a. : Palgrave Macmillan. ISBN 9781349131006. OCLC 935187820.